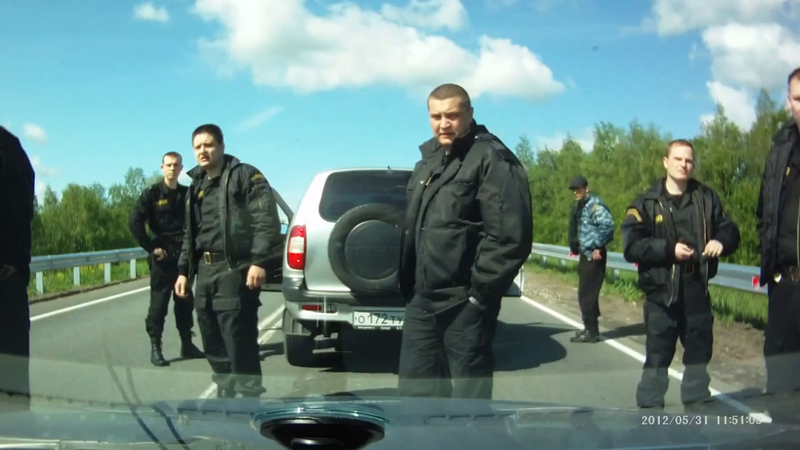 “The Road Movie” is a surreal compilation of Russian dashcam footage — 70 minutes of voyeuristic clips ranging from the humorous to the horrifying. Here’s a fun party trick. If everyone’s getting loud and rowdy, find the biggest TV in the place and put on FailArmy. It’s a channel on certain free streaming apps that plays nothing but goofs, gaffes, and other grist for the America’s Funniest Home Video mill. But there is no host. Not even a structure. Just a constant supply of dads taking the brunt of missed pinata swings, skateboard tricks gone bad, turkey fryer explosions, etc. only occasionally interrupted by ads for lawsuits about bodily meshes. There is no apparent rhyme or reason to the order of clips, turning it into a low-stakes crapshoot. A little kid stretches his arms too wide to hug his dog and falls backwards. Cut to the GoPro on a biker’s helmet as a car nudges him off the road and down the side of a mountain. Cut to a cat sitting weird. There’s no context, no closure. Just the blurry line between pratfalls and punctured lungs. I guarantee you at least half the room will be watching within fifteen minutes. There’s a magnetic, borderline voyeuristic appeal to watching the foibles of humanity in endless vignette. Watch too long, though, and you’ll wish there was an editor to make some sense of it all. 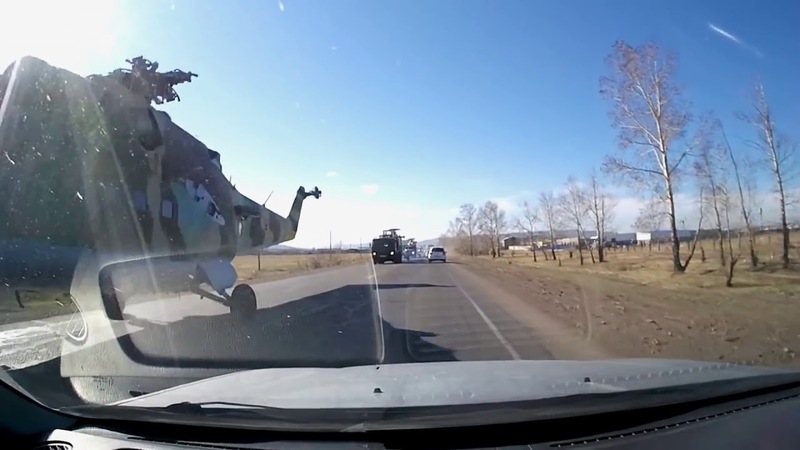 I’d like to think Dmitrii Kalashnikov had such a plan for The Road Movie, a 70-minute compilation of found dashcam footage, a cornerstone of Internet failure. Considering the opening image — windshield wipers fighting a blizzard, with the faintest outline of a cross in the white — he at least warns us it’s not all Jackass-meets-Cannonball Run hijinks. Cars barrel into passing cows with ruinous effect on the former and none on the latter. Semis tip. There’s even plenty of bonkers footage that plays into Russia’s stereotypical reputation as the Florida of Eastern Europe. But most of the cheap thrills are dealt with in intermittent montages, set to peppy stock music. Between them hides the soul of The Road Movie. Longer scenes stretch the Something-Is-Going-To-Happen inevitability to a queasy breaking point. An unseen woman begging an unseen driver to stop speeding around a bustling highway. 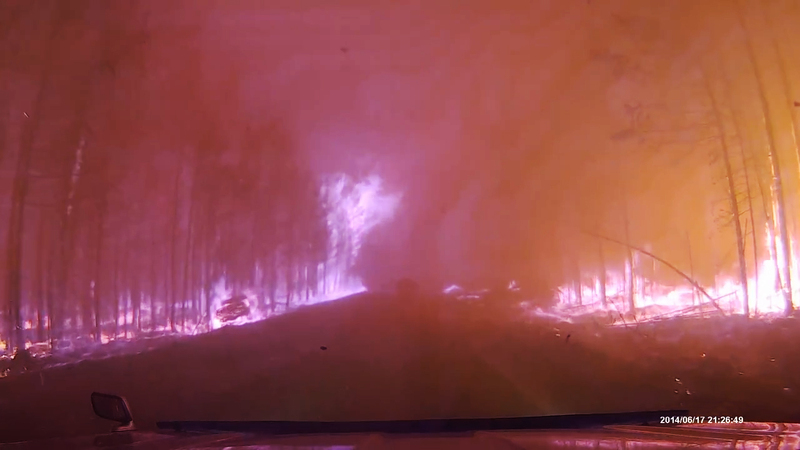 A family taking it slow and steady through the smoky, purple hell of an unchecked forest fire. Raw panic as a hysterical stranger jumps onto the hood of a passing car and refuses to let go. You’ve already cut them in your head, right when the Facebook video would end and you’d say “Whoa” and throw it a thumbs-up if you felt charitable. But Kalashnikov lets them go. The woman keeps shouting “Slow down!” until her voice cracks. On the other side of the blaze, the family laughs at the lone fire truck sent to fight it. 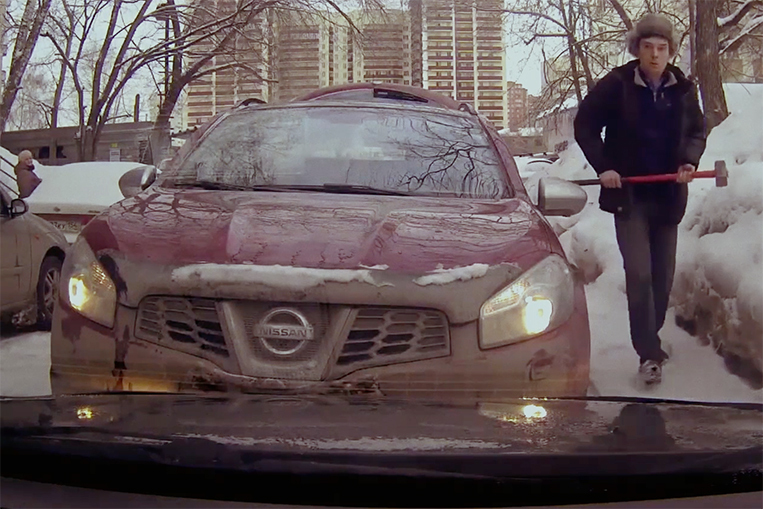 The closer you watch the man on the car, the more his flailing seems like a call for help he can’t quite get across. If fall-down-go-boom clip shows thrive on the edited ignorance between the punchline and the pain, The Road Movie forces you to consider what happens next. In a moment more startling than most calculated jumpscares, a sportscar hits an unexpected moose. On paper, it sounds like a video you’d see on Instagram with too many emojis in the caption. 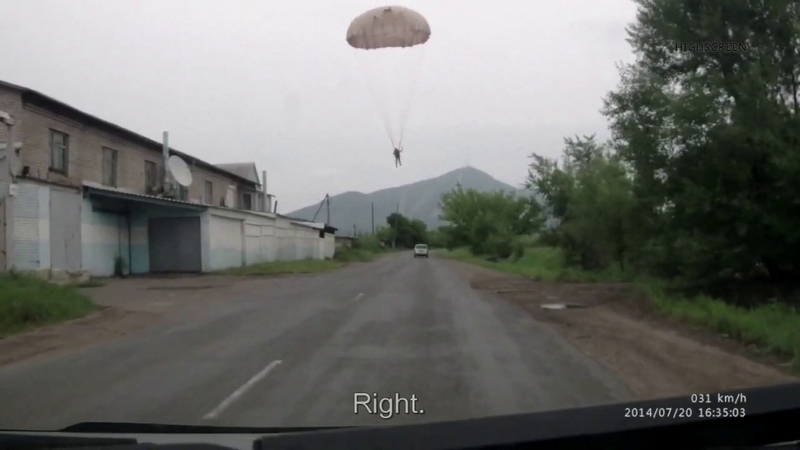 But the dashcam records past the impact, the spinning, the flipping, and the landing. It keeps rolling when the glass stops falling from the shattered, upside-down windshield and the only sound left is the radio, still belting out a muffled piece of Russian pop. No groans. No swears. No rustling in the seat. 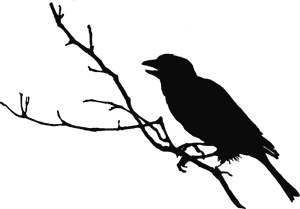 Just that song and enough silence to wonder if you just watched someone’s last moments from about the same vantage point they would’ve seen them. The only hope we have that the driver might be alive is the source, since all the footage in The Road Movie was pulled from the Internet. So somebody had to upload it. No guarantees, though. “There is as much humor as tragedy witnessed here,” said Kalashnikov in a rare interview with The Hollywood Reporter. It’d be a disservice to give away many more pieces in The Road Movie’s sociological patchwork, but there’s one in particular that’s as close as it ever gets to a mission statement. A man swerves at the sight of a black bear on a dark road. But it runs away. At about a mile an hour. Directly in front of his car. On a road too narrow to pass. And then the bear poops. Or maybe it isn’t. In the end, The Road Movie is a cinematic Rorschach Test. Is it an objective record of street-level Russian culture captured by the same technology that helped stereotype it? The movie does work in a conversation between friends wondering where all the dashcams came from and lamenting the rampant police corruption that made them necessary. Or is it no better than an unending stream of groin punishment and Cool Tricks Gone Bad? There’s plenty of that in it, too, and without the plausible deniability of assuming everyone turned out fine after the camera cuts away. 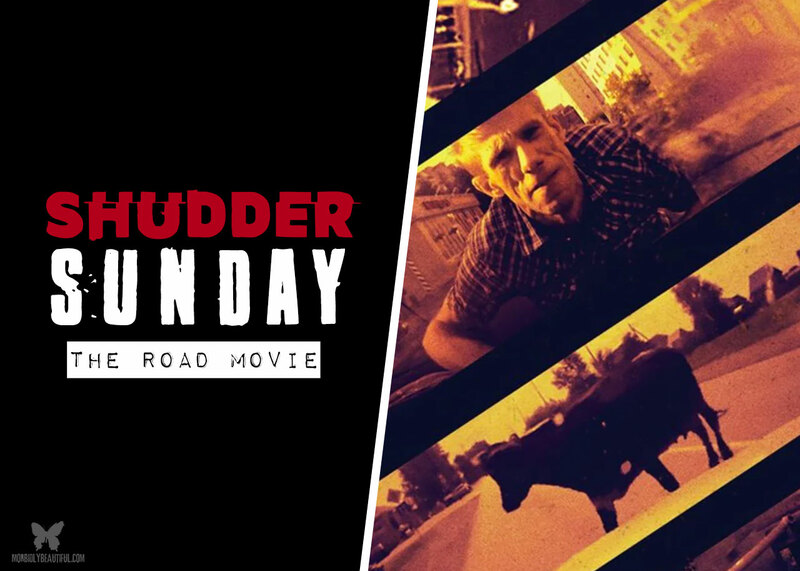 The Road Movie is a one-of-a-kind achievement, both admirably ambitious and unambitious in equal measure. It’s certainly not for everybody. But it’s a charming kind of strange that’s exactly what Shudder stands for, and as the first thing I ever watched on the service, it’s exactly what I didn’t know I needed to see.